The grey season is back! It’s getting colder in London now. It’s that time of year when I sometimes wish we could just snuggle up at home and not go out again for a few months. Although that would be a bit boring. Not least because it would give me no reason to knit grey, cosy pieces of yarn fabric to burrow into. I have completed a couple of other projects that I will write about soon enough, but it’s now time to indulge in creating soft wads of grey to envelope myself in. Yes, it’s self indulgence time. Lucky for me, I love scarves. My mum invariably grimaces when she asks me what I’m knitting and I say “a scarf”. To her, it’s the most boring thing on earth to put your needles to use for. To me, it’s the best thing to tuck into of a dark evening with some random food or travel programme playback on in the background. Do excuse the poor lighting. I’m using a combination of a supersoft 100% merino thick and thin yarn by Stitch & Story that has since been discontinued (boohoo!) and this brioletto yarn in silver, both bought in last winter’s sales. I’m simply knitting in the round in stockinette stitch, although I tried seed stitch for a bit with the Stitch & Story yarn but decided it wasn’t worth the effort, as the pattern isn’t that visible. I don’t think I updated you on the snood that I was knitting back in May (oops, sorry!) I was really pleased with the end result. It’s another grey one I’m afraid.. and I even tried it on my hubby who simply looked too attractive in it, I might have to give it to him, even though I wanted it for myself haha! I did post a snap shot on Facebook of the lovely stripe effect I improvised using alternating sections of stockinette and seed stitch. 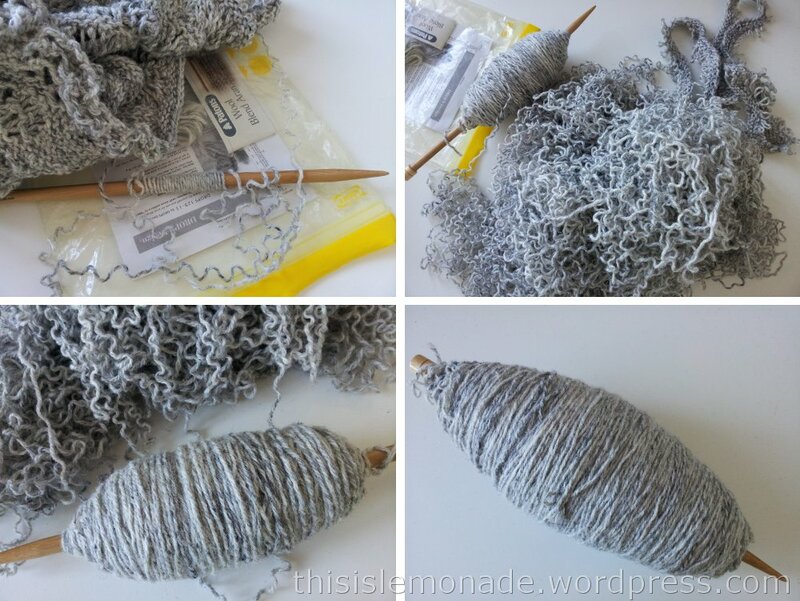 For that one, I used Patons Wool Blend Aran in grey which has a lovely mottled effect making it easy to create a delightfully cosy textured look, although the texture is not as soft as the one I’m currently knitting. Categories: Woolly Wednesdays | Tags: Brioletto, grey, knitting, Patons, scarf, SMC, snoods, Stitch & Story, winter, Yarn | Permalink. Thank you for your ongoing support whilst I strayed away into the unknown since the middle of the summer that was, has been and is no longer. The weather in London is still mild and has actually been sunny and relatively warm in the last couple of weeks. I’ve even wondered whether or not another drought is on the way, crazy, I know. Anyway, I’m planning on bringing an end to this last hiatus in blogging. 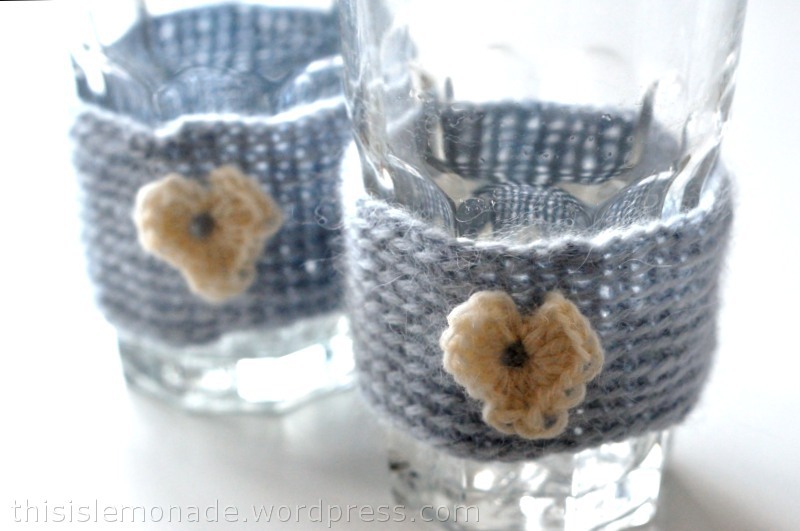 And I thought I’d give a sneak peek at what woolly things I’ve been busying myself with recently as a starter. Next week is National Wool Week in the UK, and I’ve been knitting quite a lot in the last month or so. These little booties are hopefully making their way halfway across the world in a matter of days, as soon as I get some long awaited news of the arrival of their intended new owner! I’m so excited, any time now! Well, sneak peeks should not be too long, so I’m going to rest my eyes from the screen now and pick up my needles again. I’m enjoying catching up with all of your blogs in the meantime though. Have a great week! 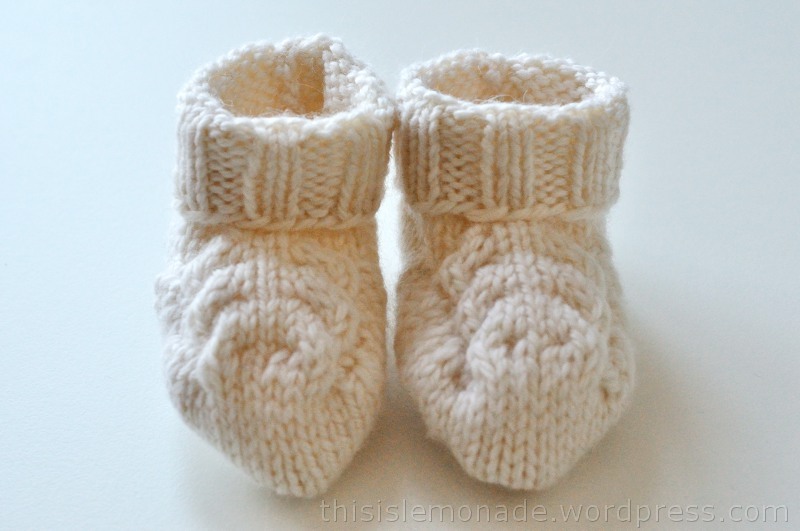 Categories: Woolly Wednesdays | Tags: baby booties, blogging, break, knitting, London, weather, Wool Week UK 2013, Yarn | Permalink. So blogging is a journey, and on a journey you might just take a straight path, but I’m not one of those people. My paths generally are all windy and crooked. They often loop back on themselves and sometimes they lead to a dead end. More often than not, I probably don’t know where the path is and go wandering off. So that’s me. Nuts and confused. Early last year when I tried give each day a theme to help schedule my blog posts, some of them inspired more than others. I’m not going to ditch any of the old ideas, because they are working for me, I’m just adding new ones. So here’s introducing Woolly Wednesdays! 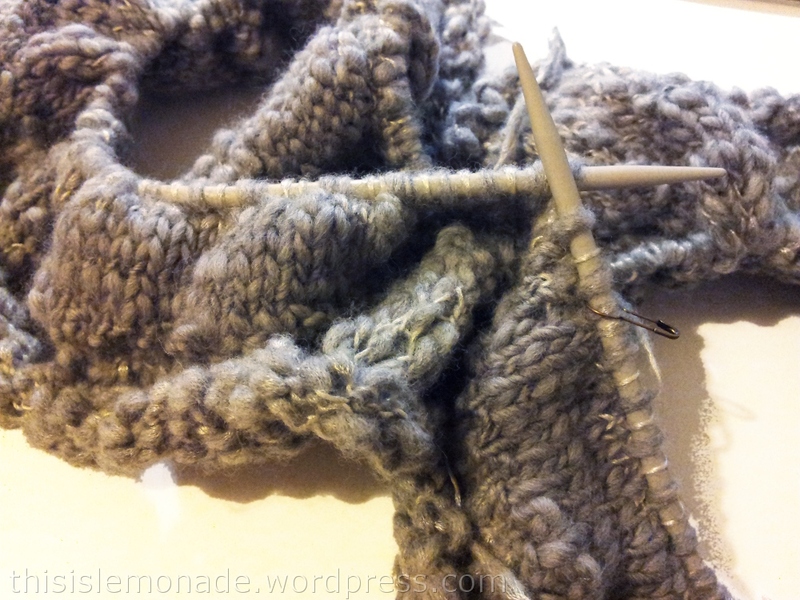 If you have been reading my meanderings for a while, you may have noticed that I love the woolly stuff. And that I have been playing about with it a bit. I got a bit of shoulder trouble at the end of 2012, and although it seems not to have recovered 100%, I can’t stay away from the sheepies and am carefully knitting again trying not to get carried away for hours on end. 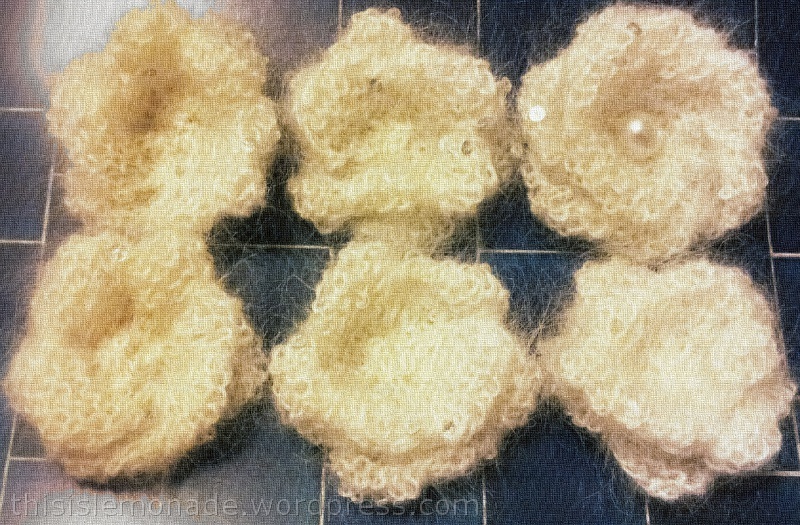 In my Wonder Wool post, I shared a hat that I was knitting for a friend. She lives in the land of the recent horrendous bush fires, hence it was not previously appropriate to send it to her. I mean, it was the height of summer during our freezing winter! I had wanted to enclose a surprise in the eventual package, and have made a decision to finish it in time to send it for her birthday next month. The surprise is a first for me and I’m really, really excited. 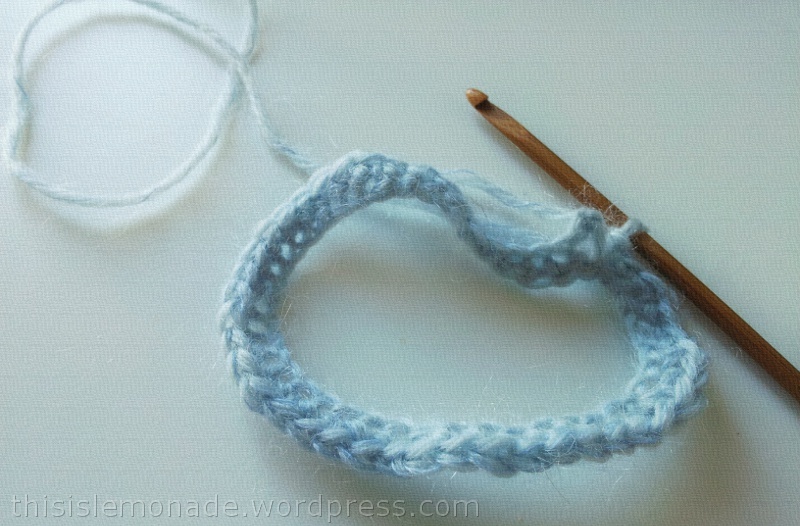 I’m sticking with knitting and not moving onto crochet, because there are different steps I want to practice. 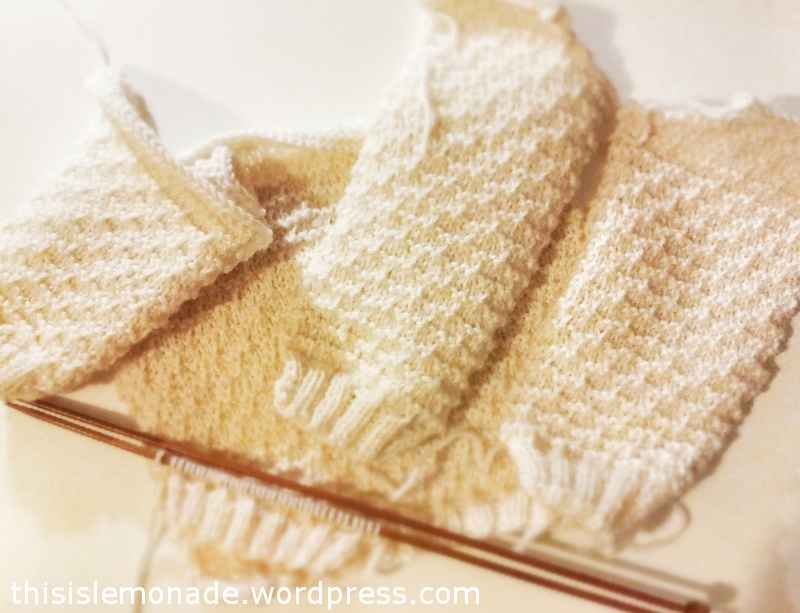 Here’s a little peek of what I’ve done so far… what do you think I’m knitting? 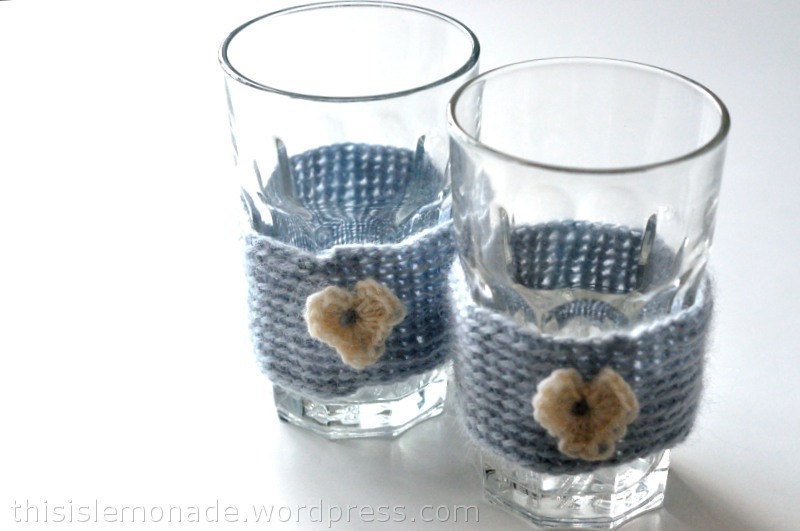 Categories: Woolly Wednesdays | Tags: blog, blogging, bush fires, Crafts, gift, hat, inspiration, journey, knitting, winter, wool, writing, Yarn | Permalink.